JF + AB Photography Blog: Jessica and Eric | Engaged! 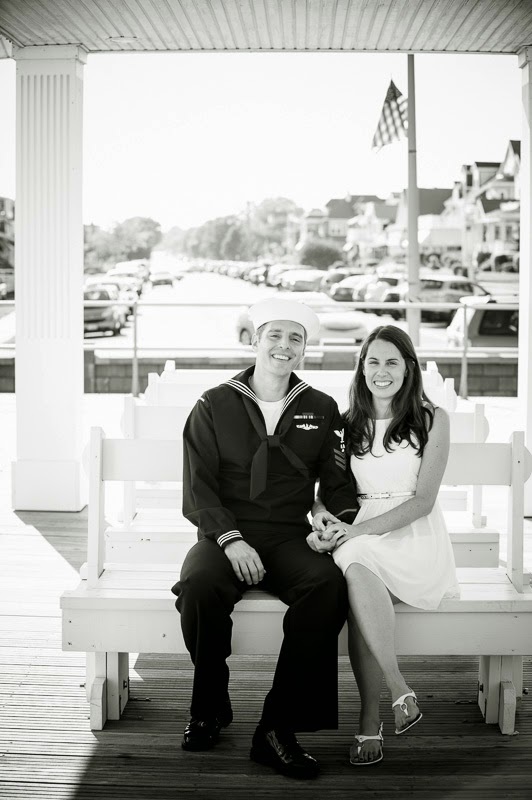 Jessica and Eric | Engaged! As part of their engagement session, Jessica and Eric decided to try to recreate the famous VJ Day kiss shot for their save the date cards. Since the first part of their session had a theme/concept that differed from the rest of the session, I (Amber) decided to break this into two posts. 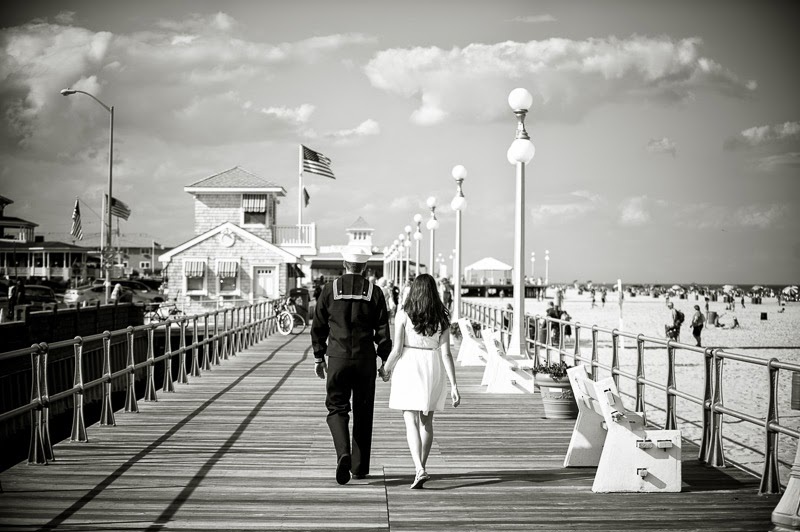 For this session, I traveled to beautiful Bradley Beach, NJ where Jessica and Eric first met. In addition to the normal jitters people sometimes have in the first few minutes of a session, Eric was a little self conscious in his uniform (apparently it should have been the white?) and the attention we were attracting. But people, especially people old enough to have lived through WWII, kept complimenting and congratulating them and we had fun with it. Eric is now out at sea again actually, so not sure when he'll see this post. Come home safe sailor! Wait till you see the rest of their gorgeous photos!